Safety in manufacturing is an important part of a company’s lean manufacturing. Safety programs are not just a cost of doing business, they reduce costs and contribute to the bottom line. Safe manufacturing practices decrease absenteeism, boost productivity, and increase efficiency, quality, and morale. According to data from the World Monetary Fund, the annual cost to U.S. businesses from lost-time workplace injuries is greater than the gross domestic product (GDP) of 91 countries. The U.S. Bureau of Labor Statistics state that workplace injuries and accidents that cause employees to miss six or more days of work cost U.S. employers nearly $62 billion or more than $1 billion per week spent on the most disabling, nonfatal workplace injuries. Overexertion is the number one cause of serious or disabling workplace injuries, which accounts for almost 25 percent of the total. Besides the direct costs, workplace injuries produce indirect costs for employers, such as hiring temporary employees, lost productivity, and quality disruptions. The Liberty Mutual Workplace Safety Index lists the following as the costliest injuries. They are repetitive motion injuries involving micro-tasks, striking an object or equipment, caught in or compressed by equipment or objects, slipping or tripping, roadway incidents, struck by an object or equipment, falls to lower floors, and the number one injury, overexertion. Digital signage is a technological development that is highly advantageous in manufacturing facilities where noise and other factors can obstruct verbal communication. Digital signage can notify workers of immediate dangers, give notice of back-ups on the assembly line, and display relevant information for particular employees. Digital signage utilizes LED displays. Anyone who has been on a typical factory floor during a production shift knows that most manufacturing processes are rather chaotic, very noisy and often challenging for workers to communicate with each other precisely. In the past, basic communications for workers was from charts, spreadsheets, diagrams and white boards that were posted on walls and bulletin boards. The major issue was how fast a sign can be changed and replaced. Digital signage replaces this outdated mode of communication. Drones in the workplace use complex cameras to access dangerous manufacturing areas where humans would be at risk. Drones can access places where conditions are too cold or too hot. In the case of chemical spills or radiation, a drone can access the area and send back data that can be used to correct the problem. Drones can carry messages or items from one area of a manufacturing facility to another. Drones can help workers who are already in hazardous situations; and also serve as a warning system so that humans are not exposed to danger. Suddenly, a CNC machine needs a new bit. Rather than placing an individual in danger navigating the path to the parts depot, the machinist picks up his tablet and swipes his finger across the screen. A minute later a rapidly moving drone arrives overhead and safely descends onto a nearby platform with the exact bit he needs. 3D imaging software technology lets manufacturing employees to be more involved with their settings by producing 3D visualizations. This technology allows employees to observe, not only their work area, but what is occurring above, behind and around them. With this extra sensory information, workers can avoid surprise incidents, like falling items, mobile machinery and other moving objects. The 3D imaging can be recorded to help design safer work areas. VT provides information concerning the work environment and how to move about it. VT gives instructions and warns of hazards. As a result, the workplace is safer and more productive. Combining inclusive software with a robust smart phone application, a physical security information management system enables manufactures to effectively manage all their security, safety and logistical needs from one place. The software can interface with all security systems within the company, including alarms, fraud prevention, cyber-attack alerts, safety, entrance monitoring and closed-circuit cameras. Unifying all this protection, frees manufactures from redundant expenditures on expensive accessory equipment for the system. A smartphone can be converted into a workplace safety tool by building safety apps into them, such as a dedicated button that when pressed, triggers and sends a detailed alert. 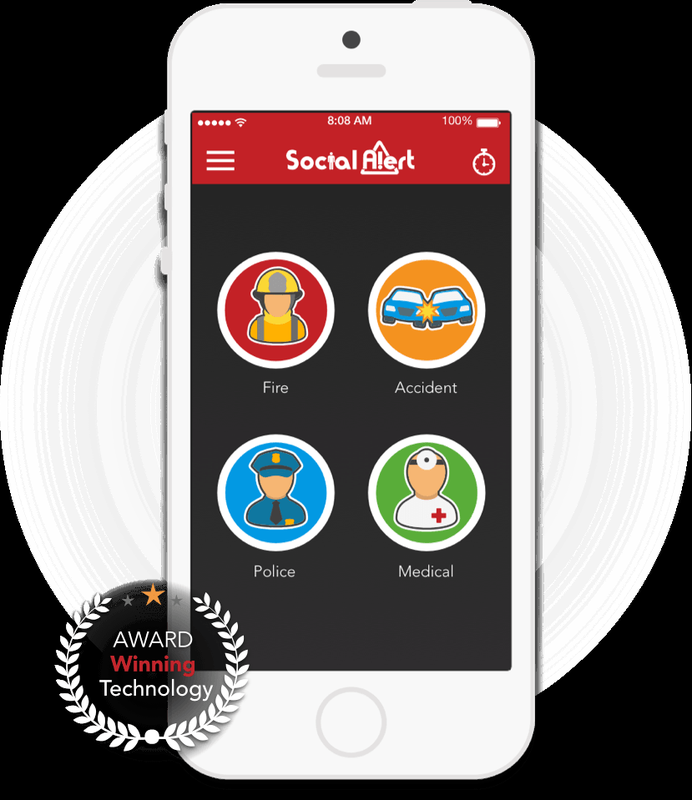 These apps can define who will be alerted in the event of a workplace accident. Smartphones can open the line on their own, should a worker be immobile. The phone can make the emergency call automatically. First aid personnel at the other end of the line can transmit back and ask questions of the immobile worker. 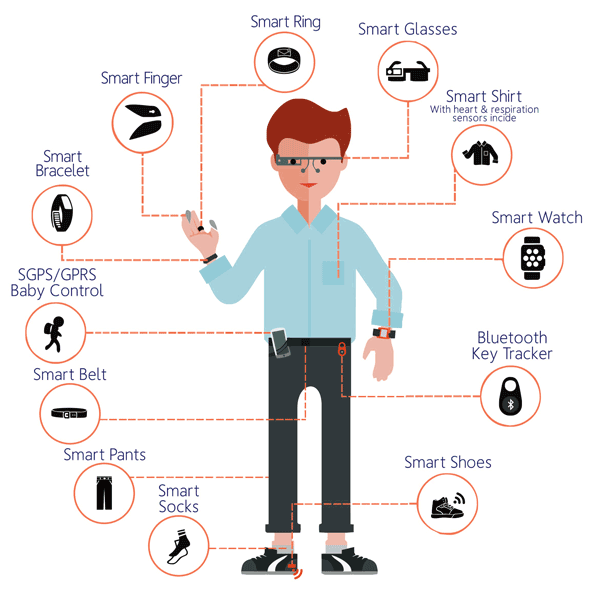 Because of the smartphone, more IoT-enabled wearables and objects are coming to market. Gas sensors, heat sensors, geo-localization solutions, accelerometers can all monitor movement and detect orientation, fall, tilt, motion, positioning, shock or vibration. They can also pinpoint locations, detect hazardous gas or monitor working conditions, such as moisture, temperature or sound levels. IoT wearables can also track biometrics, enable video and voice calls, scan barcodes and detect exposure to harmful environments. Benefits of the new wearables and IoT worker safety devices is that they can be autonomous and communicate alarms over public networks like LoRa, LTE-M or cellular. They can even perform, using local Bluetooth, RFID or Wi-Fi. These networks working with GPS can supply geo-localization information. There are more than 115,000 robots in operation in the United States today. Robots do repetitive and dangerous tasks that are difficult or impossible for humans, along with material handling and assembly. Below is an automatic guided vehicle (AGV), which is one of four general types: tow vehicles or tuggers, unit load carriers, carts, and fork vehicles. The fork lift that we see here is supplied by Savant, which provides AGV system requirements analysis, concepting, budgeting and simulation services. Talking about safety won’t prevent injuries, and most employees won’t read a handbook. Experienced shop employees are proficient in how to keep safe. Obtain their input and concepts and publish the most effective in a succession of “best methods” for floor safety. 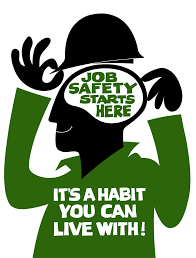 Obviously, workers do not look for injuries; therefore, allow them to set safety policy. The use of technology to expand health and safety in the workplace is effective and significant. There are fewer uses of technology that are more important than the improved safety of the workers. Whenever employees and machinery are working together, safety must constantly be the main concern.